Reached Madurai refreshed & Took bath. Then went to Manoj’s juice shop and Laxman picked me up in 10 min. From there we went to a supermarket and made some purchase. From there went to Marverick GYM met friends & asked Sathish to get ready. Then went back to Manoj’s house and picked him form there. Manoj went to attend a small Shop-opening & Laxman and I went to Medical shop and brought some medicines. Then went to Toddy shop has toddy. Picked up Sathish & started to drive to Alleppey by 12 noon. We took Theni, Cumbam, Kimily – Alleppey road which is a Ghat Road. As usual it was a pleasent Gods own Country and i’m thrilled to see houses which were big and small towns having good looking girls, posh houses, good roads etc. As usual it was Laxman driving style which made me & sathish sick and we had to sleep to avoid side effects. After hectic 6 hours drive we reached Alleppey with the help of Google Maps which navigated us to the place. It had a swimming pool which was small & poorly maintained. Rooms were very average with flickering lights. But we had a wonderful party & we all crashed to sleep without our conscious and i was the first to crash to bed. Then it was Laxman & I who got up early in the morning and then we went to buy fish for people who are Non-Veg and wanted to have Sea food. 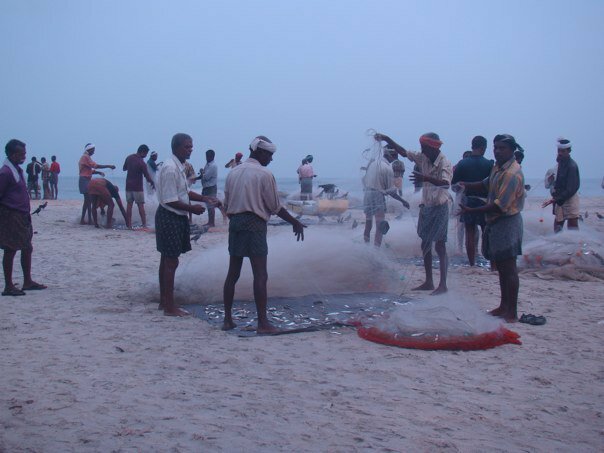 We first went to the beach and we were told catching was poor that day and the minimal amount of fish they caught had to sent to the market. We immediately went to the market and brought different verity of fish & crabs for Rs.5000/-. Then we had a swim in the hotel swimming pool and we proceeded to board our House Boat and we were 3 hours late. We sailed some 50 KM that day before we halted by 6 PM. Again it was great fun and we all were partying hard and last guys to crash were Laxman & I. Then i slept in the morning and got up a hour before we landed again. Sathish went ill and he is hospitalized for last four days because of food poisoning. Rooban got hold of Malaria. This was not the right time to travel as it was too hot and not enjoyable. But tariff of house boat are at its low because it was off season. One great lesson too. 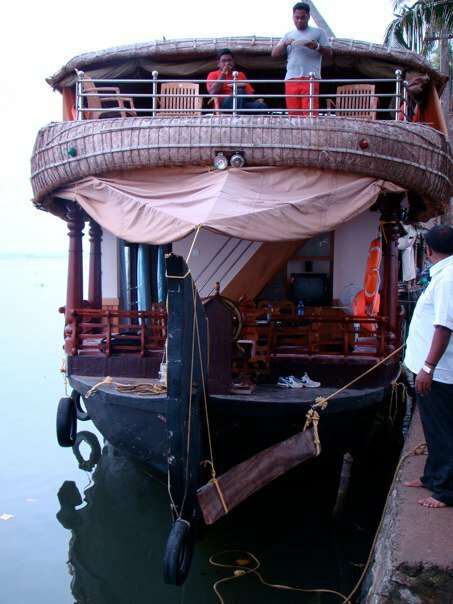 We went there thought a friend and he arranged a boat for us and they charged us Rs.9000/- for house boat for a day. 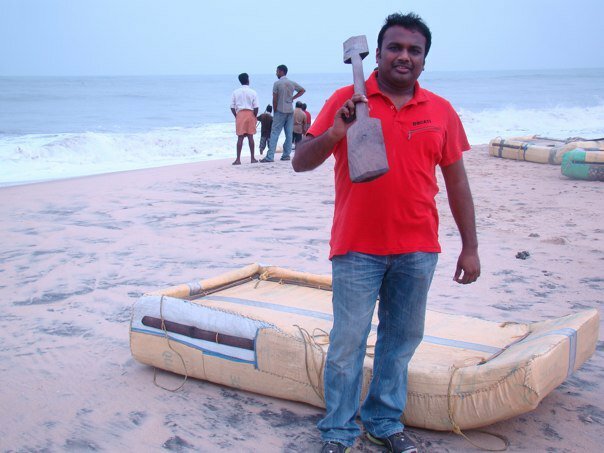 But when went enquired later the charge for the boat was Rs.6000/- only. 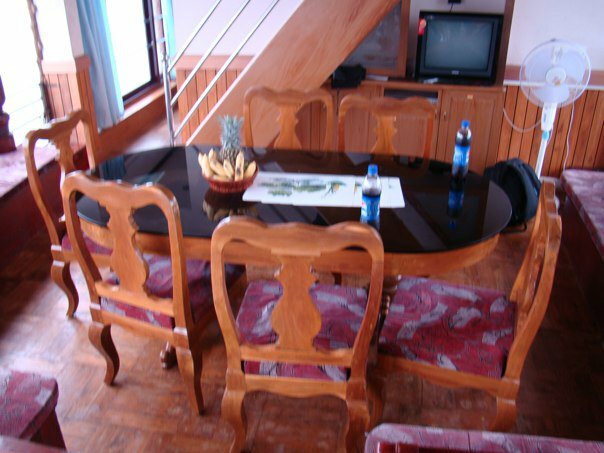 So visit different House BoatÂ agents and take best call. 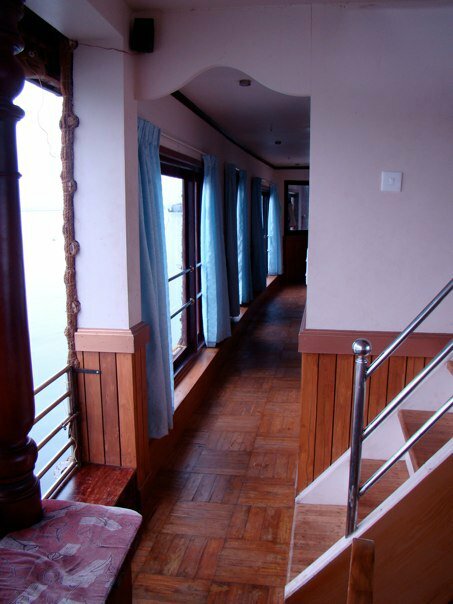 Front View of House Boat. Rooban & Manoj in the terrace.